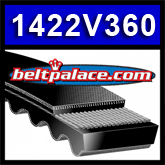 1422V360 Multi-Speed Belt Replaces Variable Speed 925VA2222, Goodyear 1422V360, Gates 1422V360, Metric Belt 22V915A22. 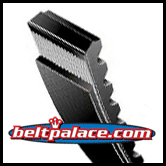 Home > Variable and Multi-Speed Belts > MULTI-SPEED BELTS > 1422V360 Multi-Speed Belts: 7/8" Top Width. Replaces Variable Speed 925VA2222, Metric Belt 22V915A22. 1422V360 Multi-Speed Belts: 7/8" Top Width. Replaces Variable Speed 925VA2222, Metric Belt 22V915A22. 1422V360 Multi-Speed Belts: 7/8" Top Width. Replaces Variable Speed 925VA2222, Goodyear 1422V360, Gates 1422V360, Metric Belt 22V915A22. 36.5 inches O.C. - top width 7/8" - angle 22.